Solar stocks surged yesterday after Canadian Solar announced it had received a “going private” proposal, reports Zacks. Analysts at Guggenheim, meanwhile, say the offer will be given “serious consideration.” They believe other companies may follow suit, if accepted. The valuation of CSIQ turns largely on the pricing of silicone and PV modules, says Guggenheim. The proposal was made by chairman, president and CEO, Dr. Shawn Qu, and his wife, Hanbing Zhang. It offered US$18.47 per common share for the shares they do not already own (around 76.5%). This would value Canadian Solar at $1.07 billion, says Zachs. Guggenheim analysts in the U.S. say the offer came in above their estimates of $14 per share. They have since raised this to $18. 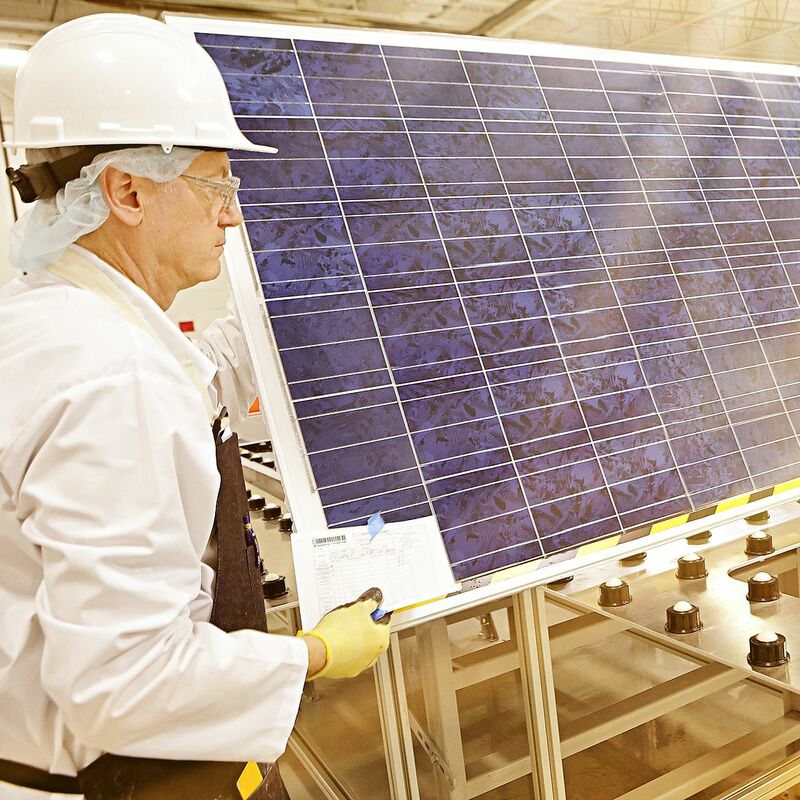 “In our view, the valuation of CSIQ turns largely on the pricing of silicone and PV modules. Given the sensitivity to these two variables, we think that the offer reflects more optimistic assumptions with respect to global pricing than we had been willing to make. Consequently, we think the shareholders’ decision is likely to be guided by their outlook on these commodity variables,” they write in an investor note. They add that due to the nature of the offer, which is expected to be financed through a combination of cash, debt and equity, the Canadian Solar board will give it “serious consideration”. Furthermore, if accepted, it could spark a wider trend for similar acquisitions of other publicly traded PV companies. The Canadian Solar board has formed a special committee to consider the proposal. If accepted, the company would leave the NASDAQ exchange.